Capcom's classic courtroom drama is still engaging and fun 18 years later. I remember the first time I played a Phoenix Wright game. It was back during a time where my local mall had both a GameStop and an EB Games. My pal Alex had been recommending this game where you play as a lawyer for quite some time. My parents had just reneged on letting me buy the Metal Gear Solid: The Essential Collection for my PS2, so I decided to take my cash and buy this lawyer game instead. I ended up getting the second game, Phoenix Wright: Ace Attorney – Justice for All, for some reason. Despite being the second game, it worked out quite well in my favor. 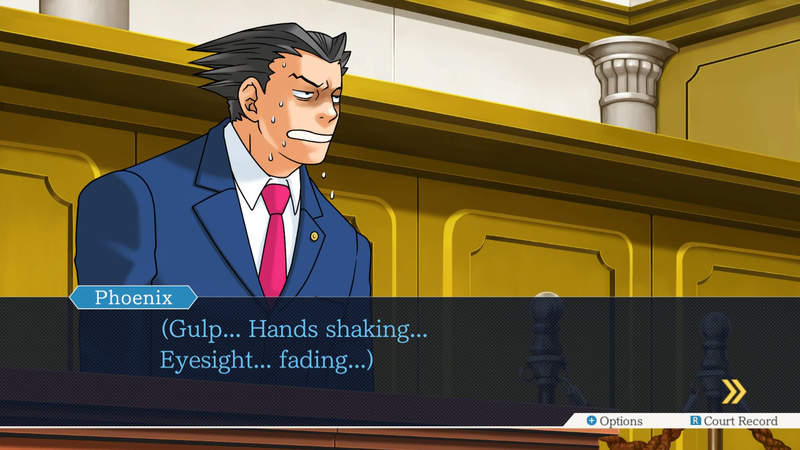 The first trial, which is more or less a tutorial for the grander experience, involves everyone’s favorite spiky-haired defense attorney getting bonked on the head and suffering short term amnesia. As I played the game, I fell in love with the cast, writing, and core mechanic of catching people in a lie. I immediately followed up and bought the first game and then the third. Cut to eight years later and that core trilogy of games (along with Apollo Justice) still strikes a chord with me now, just as much as it did back then. Capcom has remastered the trilogy for the umpteenth time with Phoenix Wright: Ace Attorney Trilogy. Bringing the visuals to the modern era with streamlined controls helps reaffirms that the courtroom drama is still relevant today and should not be missed by fans, both new and old. The biggest upgrade for this remaster is by far the visuals. It’s the crux of the entire package. It’s so important that our preview of the Phoenix Wright: Ace Attorney Trilogy was solely focused on comparing the graphics to previous ports. Bringing what originally started as a Game Boy Advance game and ushering it into the era of high definition demands a complete overhaul and Capcom completely delivered. The art is clean and crisp, with smooth lines and excellent expression. Phoenix, Miles, Maya, and the rest of the ensemble cast has never looked this good. While the art may have been entirely redone, the animation is identical. Characters have their signature flipbook-style animations mashed with over-the-top anime expressions. Every time that Larry Butz’s eyes well up, I can’t help but chortle at the goofy look on his face. It’s nice to see the spirit intact as the art made the leap to the modern era. One element of the art that did not age gracefully was the 3D elements, specifically in the fifth chapter of the first game. This chapter was introduced in the Nintendo DS port of the game to take advantage of the system’s capabilities and features. Players could dust fingerprints and blow away the dust with the microphone and rotate objects in 3D to find clues. There was even use of a security tape to rewind and examine 3D video. While scaled up to an appropriate resolution, the 3D assets did not get the same love that the 2D ones did. It would have been swell to see these parts redone in a proper way to help those segments not feel older than the rest of the game. 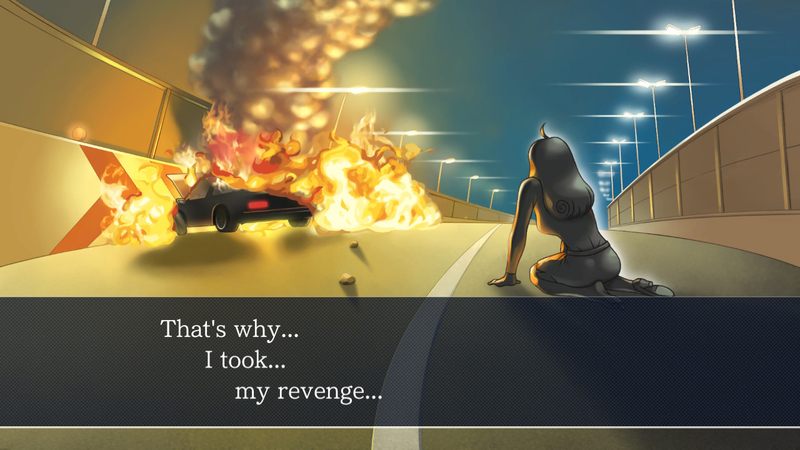 Being a series of interactive visual novels, the UI is critical to the game’s enjoyment. It can either be a barrier to entry or a gateway to soaking in the game’s intended experience. 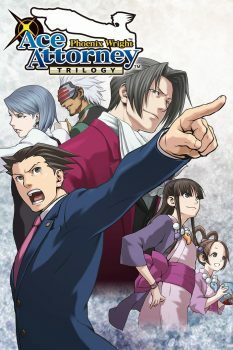 When originally ported to the Nintendo DS, the dual-screen form factor of the platform was a match made in heaven for Phoenix Wright; keeping the dialogue and characters on the top, while keeping the UI and Court Record (item menu) on the touch screen. It was intuitive and kept the gameplay clean. It also helped translate the series to mobile phones, since touch is the only way to interact with smartphones today. Being ported to PS4, Xbox One, Switch, and PC meant redesigning the way players would present evidence and investigate crime scenes. Controls make perfect sense on a gamepad. When investigating or pointing out a critical contradiction in an image, a magnifying glass appears onscreen and acts as a cursor. When an object can be interacted with, the magnifying glass turns yellow, taking the guesswork out of what can and cannot be investigated when looking at the environment’s art. If you’ve already looked at an object, the magnifying glass dons a check mark when hovering over said item. You can access the Court Record at any time with a press of the R button (I played on Switch) and scroll through the evidence. Pressing the pause button brings up the settings and the save menu. The settings are about what you’d hope for in an interactive visual novel like this. You can control the volume of sound effects and music, the text skip speed, and effects like rumble or screen shake. You can also choose the language, which currently is only English and Japanese. There will be a post-launch patch that includes support for German, French, Korean, Chinese and Simplified Chinese by this summer. I do wish besides toggling the auto-skip speed that there was a general text speed option. The text is faster than previous versions of the game, but sometimes the text felt a tad too slow, which can drag on the overall enjoyment since the entire experience is centered around reading. On the other end of the text spectrum, I also wish there was a dialogue history, like in the Persona games. Sometimes you accidentally hit the A button and miss the text box altogether. It’s just one little quality of life feature that could have made for an easier experience. A delightful part about playing on the Switch is that the game still fully supports touch. You could pop off the Joy-cons and play with just the screen, like a small tablet. You have to poke the on-screen menu in the bottom right-hand corner, but it totally works. It’s a cool way to play and it’s nice to see touch is still supported all these years later. Overall, Capcom has successfully designed an effective and simple to use UI that works great on any display you play on. The superb music in the trilogy also got a slight upgrade. It sounds much fuller than previous ports, but the music, on the whole, is identical. I played with my Switch plugged into my TV’s surround sound system and the tense music during a cross-examination with “Objections” flying back and forth was as exhilarating as it has ever been. Capcom seems to have wisely not tried to fix what was not broken when it comes to the bumping soundtrack in these Ace Attorney games. In regards to the actual games themselves, their stories hold up incredibly well. Being removed from them since I originally played them in high school (roughly eight years ago), the twists and turns that the games’ stories take you on is still a wild ride. I was frequently surprised at how much I had forgotten, almost getting to experience them all anew once more. Sometimes though, my brain would remember what critical piece of evidence was going to be used to change the tide of the case early on and I’d just be waiting to use it. Other times I’d generally be stumped. Some of the case logic is stretched out a tad too much, making the right piece of evidence on the right statement harder to infer than it ought to be. There is no hint or assistance system built into this remaster. I had to turn to an online guide more than once to make sure I was on the right track or just what piece of evidence to present. Sometimes I was thinking too far ahead in the case trying to present that key info sooner than the narrative wanted me too and other times I was just stumped. 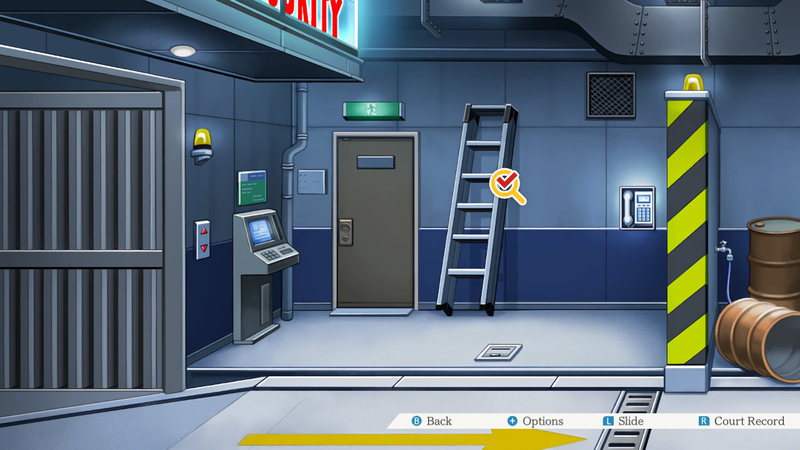 I think it could have been nice to see some sort of hint system integrated this time around for those truly tricky cases, but my phone is never far away to begin with. The only other thing I wish this collection included was Apollo Justice: Ace Attorney. 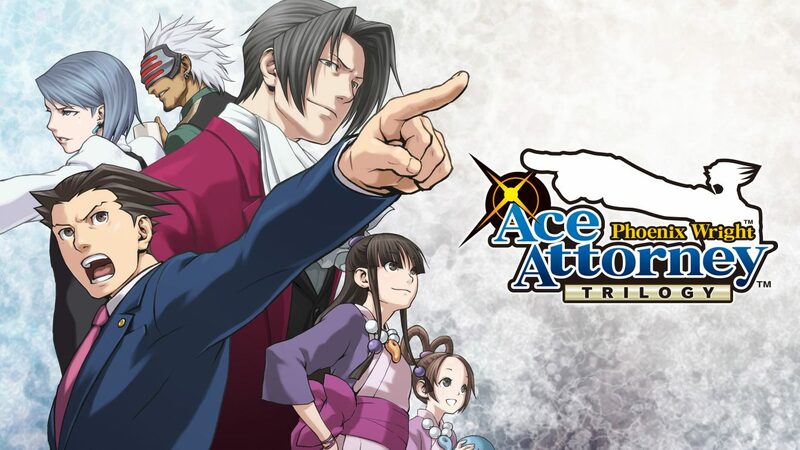 It may not be a “Phoenix Wright” game per se, but it is a sequel to Phoenix Wright: Ace Attorney – Trials and Tribulations and I remember it fondly. Hopefully, this collection paves the way for porting over the rest of the franchise, just like Capcom has done on mobile. I would also hope it’ll pave the way for a brand new adventure too, but we’ll have to wait and see what Capcom is willing to do. With the publisher being on fire lately, I’d hope that my favorite attorney could get some love too. Phoenix Wright: Ace Attorney Trilogy is a solid example of remastering done well. Capcom has successfully brought the game into the modern era without goofing up the core gameplay experience. It’s a wonderful pack of games with engaging stories, a timeless cast of characters, and a simple premise. For the sweet price of $29.99, it is well worth the investment for both new and old fans. 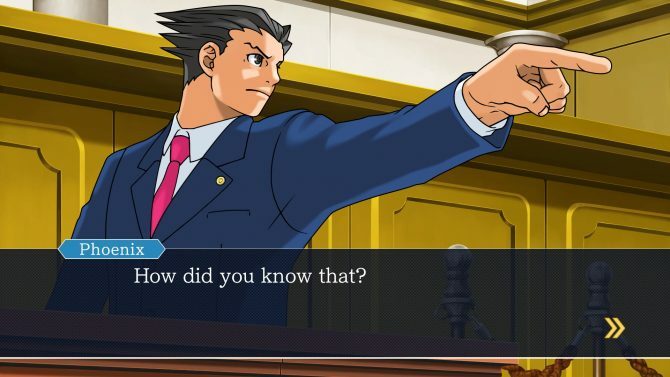 Whether you’ve been defending the helpless for years or are fresh off the bar exam, the Phoenix Wright: Ace Attorney Trilogy is a collection you don’t want to miss. 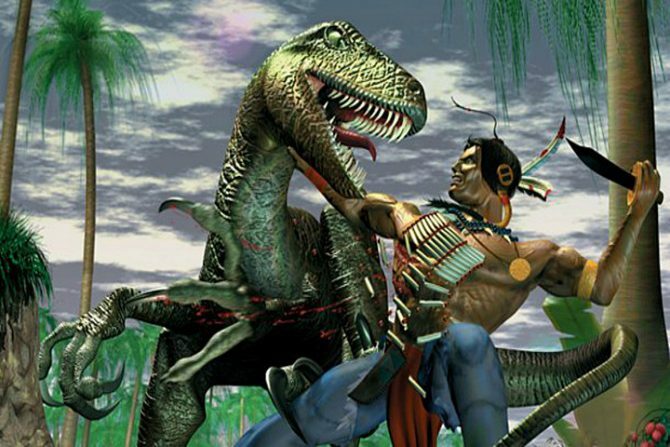 Nightdive Studios' Turok and Turok 2: Seeds of Evil remasters will be making their way home to Nintendo Switch in the coming months. 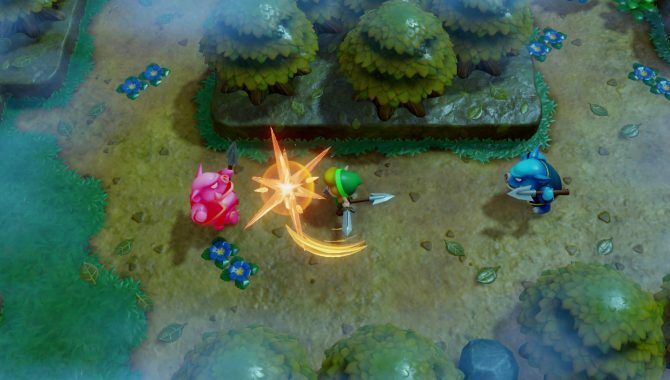 Remakes, Remasters, and HD Collections by the Numbers; How Prominent are They in Gaming?